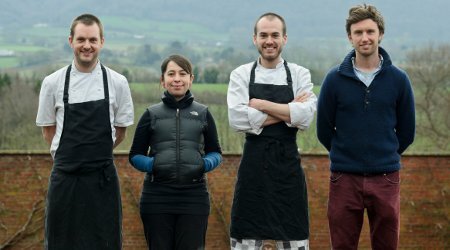 The Ethicurean are Matthew, Jack, Paûla and Iain: a Bristol-based culinary collective, brought together by their shared passion for ethical eating and British seasonality. With their combined experience (Jack is also a mixologist and hunter, while Paûla has a legal background), they’ve produced a series of eccentric and delicious events and pop-ups, from a Mexican yurt on the Brecon hillside to a BBQ from the back of an old ambulance on the Mongol Rally launch. A chance to see the team in action, hear them discuss their original ethos, and taste some of their inspiring creations!